FREE Walmart Gift Card Giveaway - Enter to Win! 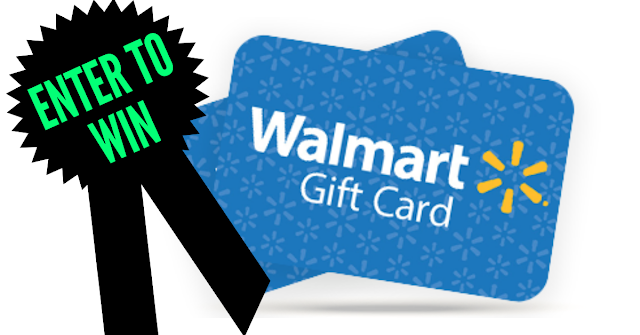 The holiday shopping season is just about on top of us and we want to give 4 lucky people a Walmart gift card! This Walmart gift card giveaway is open to Canadian residents only. This is the EASIEST giveaway to enter ever, and only open to members of the My Canadian Mailbox Facebook group. That means your odds are pretty good since the group is brand new!! What will you benefit from joining this FREE group? You will avoid missing out on a hot FREEBIE alert. See what other Canadians are getting FREE everyday mailed right to their homes. Share freebies and prizes you have scored and won. Join the top freebie hunters and learn how to start getting tons of FREEBIES in the mail too! Make some new friends along the way and become a freebie guru with a full mailbox of free stuff. Walmart gift card giveaway will run from October 1- October 31 2018. Winners will be drawn from all eligible entries on Nov 2 2018. Must be a group member and have completed the poll to be eligible to win a gift a card. Winners have 72 hours to claim their prize or they forfeit their prize. Winners will be announced in the group and tagged and listed here in the happy winners section.